You Are Where You Are Supposed to Be! Dates - Superfood or Super Villain? Cooking Oils - To Use Or Not? Virgin Money London Marathon – 1 Day to Go! If you have ever had a meditation practise then you will know just what it is like to struggle with meditation. It is something I am having a problem with at the moment and keep finding reasons not to meditate or to meditate for less time that usual. The question is where does this resistance come from and why do you feel it? Well the way I see it is that when you meditate you remove all the barriers between the physical and metal states. This also means you can connect with the real you, the one you hide under the many layers designed to help you survive, fit in and just be more popular. It is inevitable that at some point you will come across something you really do not want to face. It may be that, like me, after several months of successful meditation you suddenly lose interest. This could be that in the initial stages of meditation you are calming and grounding yourself and remove all of the big noise in your life, but then the hard work begins. Set a Time – a great way to stick to your meditation practise is to set a regular time to meditate, so think about the best time for you. For me it is first thing in the morning but for you it might be 12pm or 6pm or whenever you can get time to yourself. 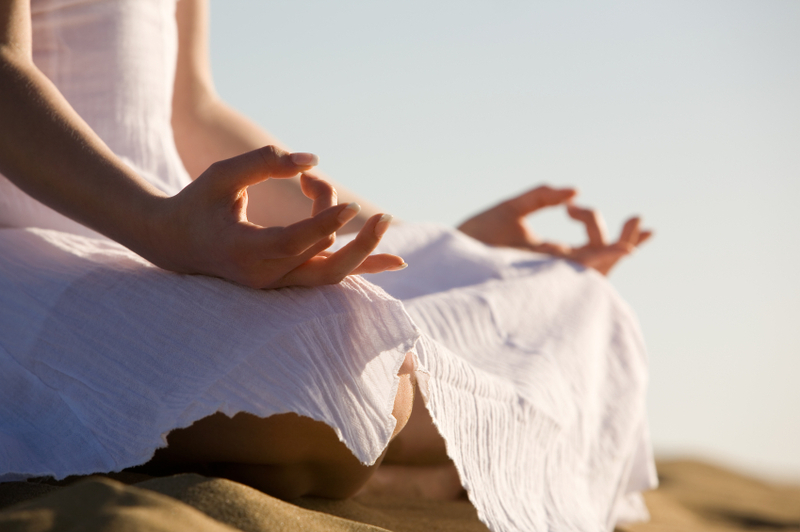 Take Time for Yourself – this seems like an obvious point but it is how you approach your meditation. Think of it as a time where you can just be quiet and away from all the demands of your life. Most of us have people wanting things from us all day, there is constant noise and we never get to sit and be quiet, meditation is a wonderful time to do this. Share your Plans – tell your loved ones about your meditation plans and when you want to do it. Ask them to help you to ensure you practise then and that they do not disturb you for the length of time you want to meditate. Having support is always a great way to stick to something. Find a Group Meditation – I live very close to the North London Buddhist centre where I can go everyday to meditate if I want. Look for a meditation group close to you, meditating in a group can really ignite your passion and get you back on track. Little and Often – If you find it difficult to set aside a chunk of time to meditate then think about doing small meditations throughout the day, say 3 lots of 5 minutes. You will still get some benefit and it might help you to stick to it. I shall be putting a lot of these things into practise and getting myself back into quality meditation as I am starting to miss it. Remember that when times get difficult you may back away from meditation but that is the time when you need it the most and it should be embraced. If you have ever had problems with meditation or you have a full established practise I would live to hear about your tips and what you have done to stick to it. Mercedes is a Yoga Sports Coach with experiences working with athletes from many disciplines and experience levels. She is keen to spread the word of how valuable yoga is to sport. With additional qualifications in nutrition she also shares a number of recipes and nutritional advice to keep you fuelled while training. Dates – Superfood or Super Villain?